Update: Looks like Amazon Germany caught on and now the page leads to a 404 error. Guess it wasn’t true after all. 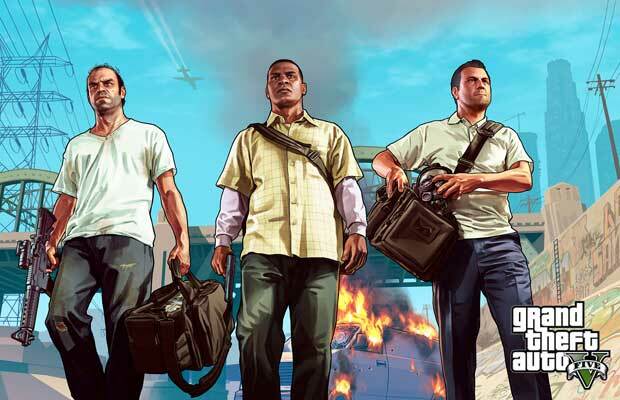 It seems like every week, there’s someone who says that Rockstar’s Grand Theft Auto V is coming to next-generation machines. They never sound believable but Amazon Germany just put it up for sale. There’s even a box-art and when translated, it says it’s ‘currently unavailable.’ What does this exactly mean? While there’s no confirmation what so ever and even Amazon makes mistakes, there’s at least more evidence here than a person on Sony’s Twitter account saying they’re excited for it. But maybe it adds more creedence to that? Take it with a grain of salt as Rockstar hasn’t announced any plans for a next-generation release and I’m not holding my breath either. But you never know, maybe it could be coming, there’s no Xbox One listing either with all these rumors only around the PlayStation 4 version. Let us know what you think in the comments below or post in our Facebook or Twitter. Coming off from sites like XBLAFans, GameJudgment and TouchArcade, I'm looking to further extend my reach with the multiplatform news. I love all sorts of games from 2d side-scrollers to action/adventures set in fantasies or gothic nature like Castlevania. My 3 favourite games ever are Viewtiful Joe, Super Mario Bros. 3 and Chrono Trigger.